Boating is all about freedom. 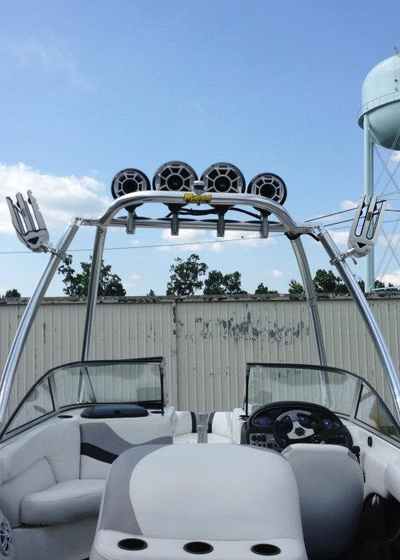 You’ll appreciate that feeling even more with an innovative boat stereo system installed and ready to enhance your boating experience. Imagine listening to great sounding music as you look out over the rippling water of a beautiful lake or ocean. Our splash-proof boat stereo system equipment allows you to relax, have fun, and enjoy the many benefits of your new entertainment system. Once you experience all of the luxury upgrades we offer, you will wonder how you ever lived without them. Feel free to go it alone, or create a party atmosphere with friends. What a great way to escape the stresses of everyday life! Visit us to today to experience the Music Masters difference.